Top quality branded jacket for a cosy campaign! Water resistant, insulated jacket in a choice of strong colours, ideal for all-weather branding! Featuring full zip to front, adjustable cuffs with velcro closure, fleece lining to collar, two front pockets, inside pocket & mobile phone pocket, and a Slazenger logo print to the back left seam. There's also a handy foldaway hood in the collar with an adjustable drawcord for a good fit, so it's great for when the weather changes unexpectedly! 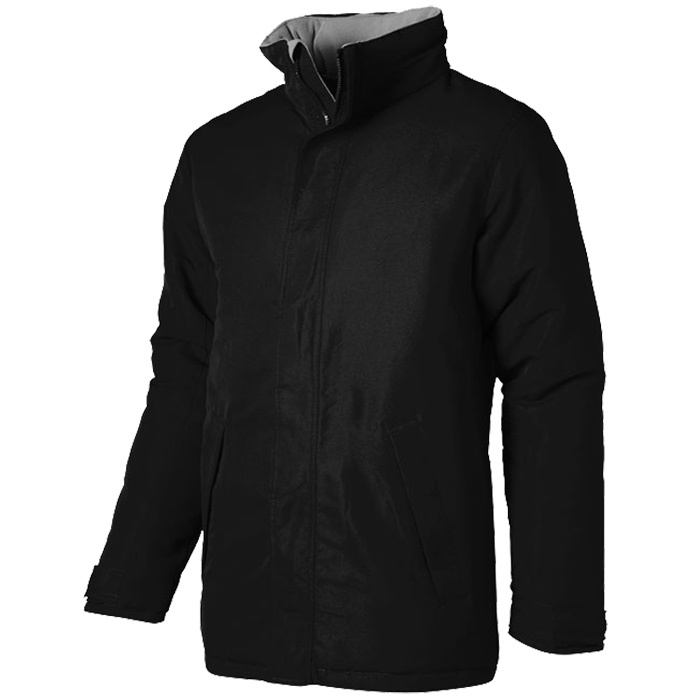 Made from durable, lightweight padded polyester with AC coating and taffeta lining, to ensure comfort and warmth. An impressive business gift for team events, outdoor promotions or fans of hiking & sports! Price includes a 1 colour print to the upper back. Print area: 270 x 380mm.